Tom Newman and the Sumter Braves appeared to have gotten out of a bases-loaded, one-out situation in this May 1990 game. Except for the mental lapse. The pitcher Newman fielded the come-backer, but instead of going for the double play, he went to first, The Sumter Item wrote. "I have no idea what (Newman) was thinking about that play," Sumter manager Ned Yost told The Item. "He knows better than that. I guess it was just a case of mental vapor lock." The Braves went on to win that game, despite the mental lapse. Newman, in his second season in the Braves organization, played few other games. He pitched in a total of 15 games that year between two levels, marking the extent of his career. 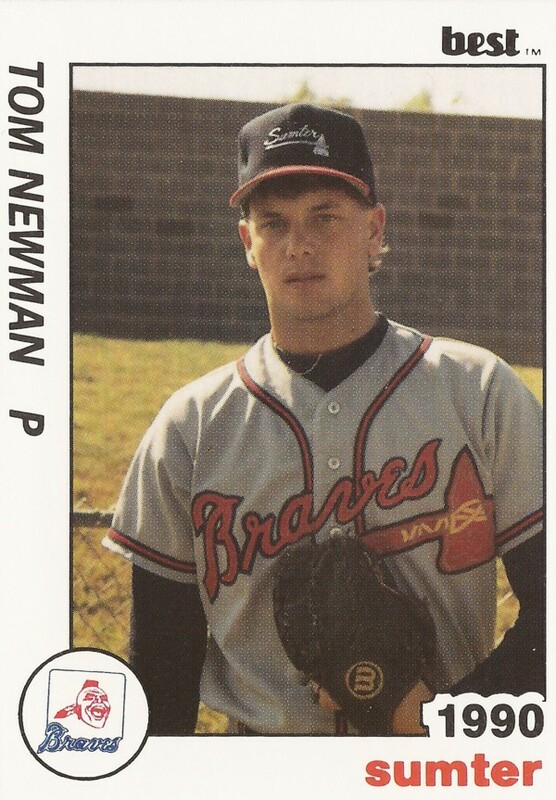 Newman's career began in 1989, signed by the Braves as an undrafted free agent out of Le Moyne College. Newman started with the Braves at rookie Idaho Falls. He got into 12 games, starting three, posting a 8.46 ERA. He also struck out 19 in 22.1 innings. Newman moved to single-A Sumter to start 1990. He got into eight games in relief, giving up two earned in 11 innings of work. He then returned to Idaho Falls. He started seven games there, posting a 4.25 ERA, ending his career.